The miniaturization of our computers continues. From the days of a computer occupying a large room and having no more power than a PC of old would you believe you can now have a computer no bigger than a memory stick? a computer about the size of a smartphone which can be connected to any screen with an HDMI connection, like your TV. The computer shown here is the ‘Ideacenter Stick 300’ and it runs Windows 8 or Linux and has 2GB Ram, 32GB flash storage, an SD card reader, WiFi and even speakers. 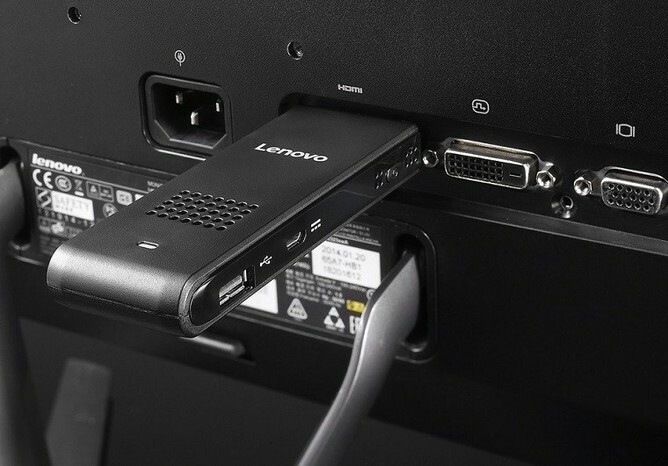 But Lenovo is not alone or the first to shrink the size of the PC as Intel has the ‘Compute Stick’, a dongle sized computer with similar specs which they released last year. Talking about small computers you may have heard of the ‘Raspberry’ which is now in its second release and may have been the first to provide the functionality of a desktop or laptop computer in a creditcard sized electronic board. Over 5 million Raspberry Pi computers have been sold since it was launched in 2012. It doesn’t end there, there are other stick computers capable of running Android OS, e.g. ‘Cotton Candy’ or ‘Google Chromecast’. These plug into a digital TV to play video directly to the TV or from the internet streaming services such as the newly introduced Netflix. Google’s Chromebit, in more colours than black. The advantage of computers this small lies in a low power usage [e.g.the typical PC uses about 65-250 Watts/hr plus 20-40Watts for an LCD monitor compared to the PC stick at around 10Watts] so are useful for schools and universities as well as certain business usages. Not forgetting that you could have more than one computer, recognisable as desktop, laptop, smartphones or compute sticks accessible everywhere and anywhere. The aim of the smallness is to provide greater connectedness and more integration with our environment so that our computing technology fades into our surroundings until only the user interface remains perceptible to users. We see that in the growing interest in our living environments where smart offices, smart classrooms and homes allow computers to monitor and control what is happening in the environment. In Europe the Smart Anything Everywhere vision of the European Commission drives research and development in this area. The evolution and disruptive innovation across the field of computing, from the Internet of Things, smart cities and smart spaces down to nano-electronics – the applications and benefits of greater miniaturisation of computers are endless. A long way indeed from the large room, usually airconditioned, for the tape cabinets and machinery, to today’s compute stick. What will be next? 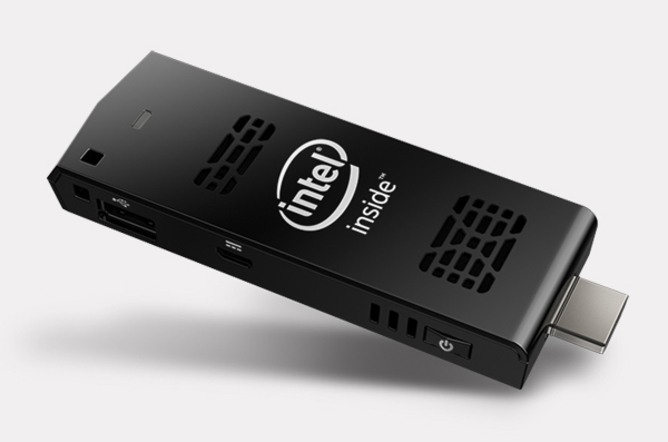 This entry was posted in Tech-Trends and tagged Intel, Internet of Things, Lenovo, Raspberry by Thor. Bookmark the permalink.